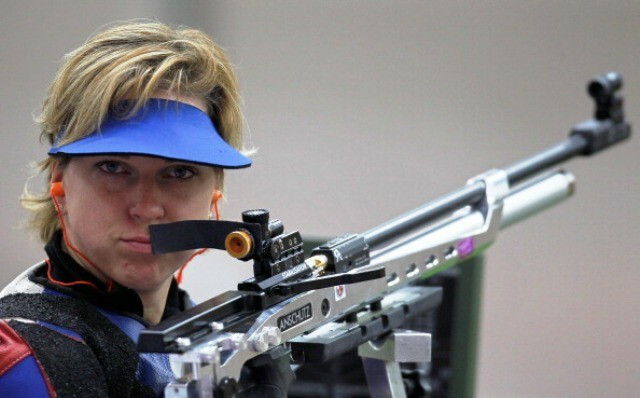 The Slovakian shooter reigned supreme in the mixed 10 metre air rifle prone SH1 event, posting a total score of 211.9, edging Russia’s Tatyana Ryabchenko, who was second on 209.0. Ukraine’s Iurii Stoiev sealed the final spot on the podium with bronze. Vadovicova’s team-mate Radoslav Malevnosky finished fifth, which was enough to earn his country another Rio 2016 quota place, while New Zealand secured their third Rio 2016 berth thanks to Gregory Reid, who was eighth. There was also more success for the home nation as Tammy Delano was able to seal a quota spot for the Americans at next year’s Paralympic Games in the Brazilian city. "Everyone kept telling me I got it and I was like 'Shush!' since I haven’t had the best of luck," Delano said. "I wanted to make sure it was official. "It’s a little redeeming since I was so close [the other day]. "I’ve had a rough year - last October I had neck surgery, in May I went home to be with my father since he was sick and in May, I started getting sick again." Vadovicova and Malevnosky then teamed up with Jozef Siroky to earn gold in the team mixed 10m air rifle prone SH1 competition as the Slovakian trio amassed a total of 1895.4. The United Arab Emirates, comprised of Abdullah Saif Alaryani, Addullah Sultan Alaryani and Saif Alnuaimi clinched silver on 1891.4, while Great Britain’s Matt Skelhon, Owen Burke and Mandy Pankhurst secured bronze. Elsewhere on the penultimate day of the event, Britain’s James Bevis topped the podium in the mixed 50m rifle prone SH2 competition in style, recording a commanding score of 620.0. Austria’s Johann Windhofer was second, some way adrift on 608.8 as he shaded the race for silver by a slender margin over eventual bronze medallist Alexandre Galgani of Brazil. The home shooters had a gold medal to cheer as Roy Carter won the mixed 10m air pistol standard SH1 event with a score of 350, while there was a tense three-way shoot off for the other medals between Russia’s Natalia Dalekova, Sweden’s Joackim Norberg and Poland’s Szymon Sowinski. 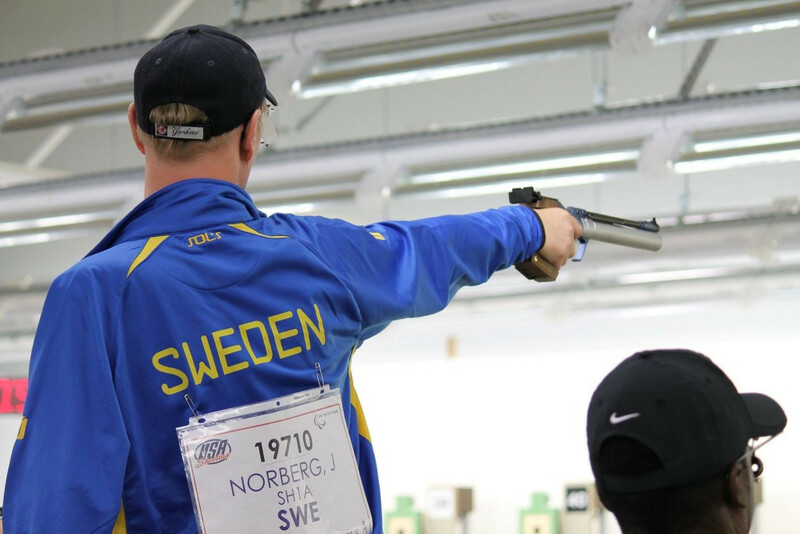 Dalekova was able to outscore Norberg 42 to 41 to bag silver, with the Swede having to settle for bronze. Russia were victorious in the team competition ahead of Britain. The final IPC Shooting World Cup of the season continues tomorrow with action in the women’s 10m air pistol SG1, men’s 10m air pistol SH1 and men’s 50m rifle three positions SH1 event.